Until the middle of the 20th century, the milkman making his way through your neighborhood, leaving bottles of milk on your front porch each morning, was a daily occurrence. Dairies sold directly to consumers because it was the most efficient way. Not everyone had cars and could get to the grocery store every day. Every town had a dairy. By the 1960s, milk delivery had pretty much become a thing of the past. Supermarkets were springing up everywhere and consumers were more inclined to pick up a half-gallon of milk along with the rest of their purchases. Local dairies had merged into large, regional operations. But suddenly, milk delivered to your home is back, a natural outgrowth of the trend of having nearly everything delivered to our doorstep. But today's milk delivery comes with a twist, driven by more than simple nostalgia. The milk being delivered to homes tends to be a small, premium label, appealing to consumers who prefer to "buy local" and purchase organic products. In other words, the milk now being delivered to your door isn't always available in stores. On the East Coast, Trickling Springs Creamery offers home milk delivery in New York, Pennsylvania, Maryland, Virginia, and New Jersey. The company was established in 2001, with the objective of supporting local farmers who meet specific standards. It says its milks is processed "as minimally as allowed by law." If its website is any indication, Farm to Home Milk is trying to recreate the "good old days." The founder says he was motivated by stories his grandfather told him, when everything was locally produced and "the whole world was within a mile." The company offers weekly, bi-weekly, or monthly deliveries. Dairy Direct Milk, in Ancramdale, N.Y., is another home delivery dairy that emphasizes locally-produced milk. The company has no contracts or minimum orders. 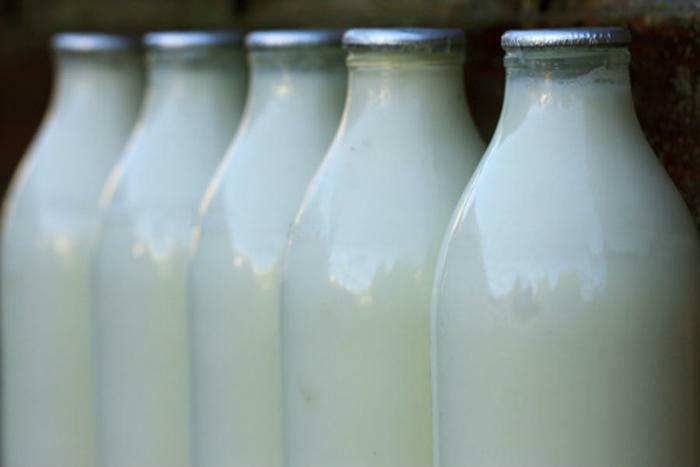 While all of the dairies that have revived home delivery seek to associate themselves with the nostalgia of the past, packaging their milk in bottles, not cartons, there is one big difference. Nearly all deliver once a week, not daily. Consumers will also pay a premium, not just for the convenience of home delivery but also the quality of the product. Still, with nearly everything delivered to your doorstep these days -- including groceries -- delivering even a perishable product like milk seems natural. After all, it's been done before. What attributes matter to consumers when buying food products?